Where do I get helicopter evacuation cover for my trekking adventure ? There are lots of opinions out there, but you need local knowledge, logistics and know you will be taken care of in a professional manor. Ian Taylor Trekking recommend Global rescue services. Insurance cover starts from $119 CLICK HERE for further information on policy and pricing. Global Rescue membership gives members evacuation coverage without any altitude, residency or activity restrictions. Heading above 6,000m will be covered. In the event of an emergency, Global Rescue is available to initiate an immediate response 24/7/365. Global Rescue provides no-cost medical evacuations to enrolled clients, including field rescue from the point of injury or illness to the nearest appropriate medical facility. Q: Does Global Rescue place any restrictions on elevation or the use of technical climbing equipment? Q: Does my Global Rescue membership cover me wherever I am in the world? A: Yes, as long as you are more than 100 miles from home and below 80° North or above 60° South. Q: Will I be evacuated if I have altitude sickness? country. All transport costs are included in the cost of membership. Global Rescue have created Signature Travel Insurance–an industry-leading integrated travel insurance product exclusively for our members. 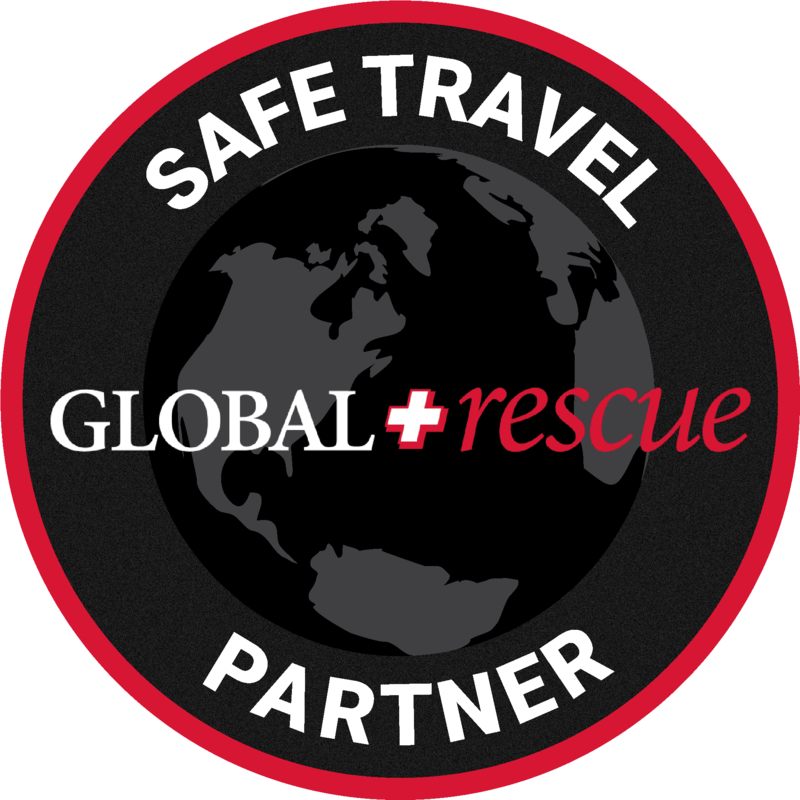 When combined with a Global Rescue Membership, this travel protection provides the coverage and confidence travelers need. Sign up for this insurance today! Memberships are available to provide evacuation for medical and security emergencies Annual membership’s allow an unlimited number of trips per year, including domestic coverage more than 100 miles from home. Annual memberships are available for multiple years at a reduced rate. FIELD RESCUE MEDICAL ADVISORY & EVACUATION SECURITY EXTRACTION MEMBERSHIP OPTION TRAVEL ASSISTANCE Global Rescue pioneered the concept of worldwide field rescue more than a decade ago. Our teams of first responders and military special operations veterans bring unparalleled experience and capability to rescue our members, regardless of the environment. Backed by an exclusive relationship with the Johns Hopkins Department of Emergency Medicine Division of Special Operations, our critical care paramedics, nurses and physicians are available to advise our members anytime, anywhere. We also provide evacuation to the nearest appropriate medical facility, as well as transport via private and commercial aircraft to our members’ preferred home hospitals. All transport costs are covered by your membership. When members face the threat of bodily harm or a government evacuation order is declared, we bring them to safety and transport them home. Our teams of military special operations veterans are immediately available to advise, deploy and extract in the event of an emergency, natural disaster, terrorist attack or civil unrest. All transport costs are covered by your membership. A broad range of concierge-level travel services: • Travel insurance • Legal referrals MY GLOBAL RESCUE MOBILE APP Provides immediate access to: • Geo-Fence tracking & alerts • GPS-Enabled safety check-in • Family in-app messaging Signature Travel InsuranceSM is a comprehensive product created by IMG®* exclusively for our members. 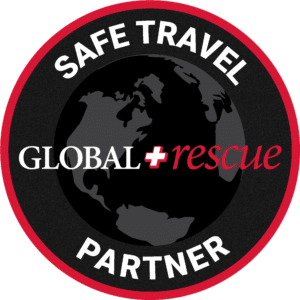 When combined with a Global Rescue Membership, this travel protection program is unmatched in features, quality and price. SIGNATURE TRAVEL INSURANCESM AN ADDITIONAL PROTECTION AVAILABLE TO GLOBAL RESCUE MEMBERS* • One-touch emergency assistance • Destination reports & event alerts *Signature Travel Insurance available only to residents of the United States. No, there are no restrictions on elevation or the use of technical climbing equipment. Rescue’s medical team at the time of an incident. Global Rescue will never deny services to a member in need, but in cases where this threshold is not met the member will be responsible for the cost of the evacuation. Global Rescue may ask the member for a credit card to cover the cost of services requested for transports of convenience. Communication is critical in any back country or wilderness rescue situation. Global Rescue strongly recommends that members carry or have access to a satellite phone. The Global Rescue emergency number (1.617.459.4200) can be pre-programmed into the phone and it is helpful to let your partners and/or guides know that you have our service. It is also important to carry spare batteries for any extended trip.